Sometimes football can be a cruel game. Jordan Pickford had spent the afternoon showing just why he has every chance of going to next year's World Cup as England's number one goalkeeper when a wicked deflection off Michael Keane's heel sent Ryan Fraser's shot spinning out of his reach and into the net. In one stroke, that ended Bournemouth's nine-match run without a victory and lifted Eddie Howe's side out of the relegation zone, while also condemning Sam Allardyce to his first defeat as Everton manager. Having dominated from the moment Idrissa Gueye equalised to cancel out Fraser's first-half volley, it was probably no more than the home side deserved but the result still felt harsh on Pickford, with the £30m spent on him in the summer already looking like a bargain. 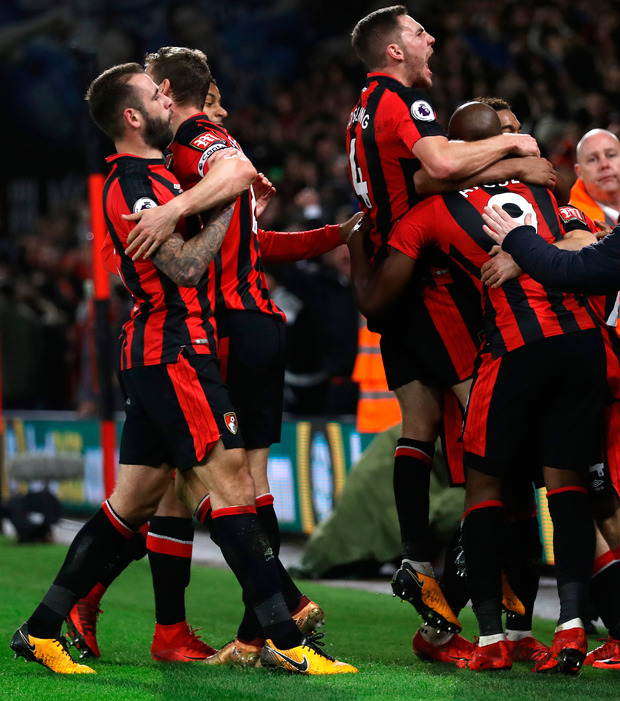 Bournemouth began the day in the bottom three despite the controversial late equaliser against West Ham on Boxing Day, having accumulated just nine points at home all season. Howe selected an unchanged side, with Joshua King passing a late fitness test to start in a withdrawn role behind Callum Wilson in attack. Allardyce made four changes to the team which drew against West Brom - their seventh match unbeaten since he replaced Ronald Koeman at the end of November - with Idrissa Gueye back from injury and James McCarthy starting his first game since the end of October. Wayne Rooney returned to the bench as Aaron Lennon and Gylfi Sigurdsson proved support for lone striker Dominic Calvert-Lewin. 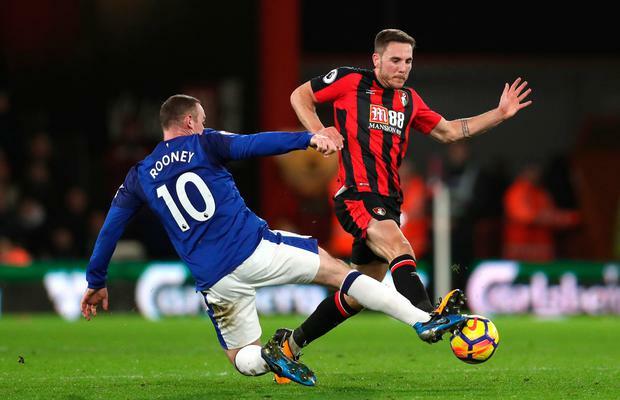 Given their perilous state, the onus was on Bournemouth to take the game to their opponents and, after a slow start, they gradually began to pick holes in Everton's defence. Wilson should have opened the scoring in the 18th minute but found Pickford in superb form, before the goalkeeper denied Jordon Ibe's smart turn and shot from the edge of the box. By contrast, the visitors appeared reluctant to commit numbers forward and that lack of ambition proved to be their undoing. 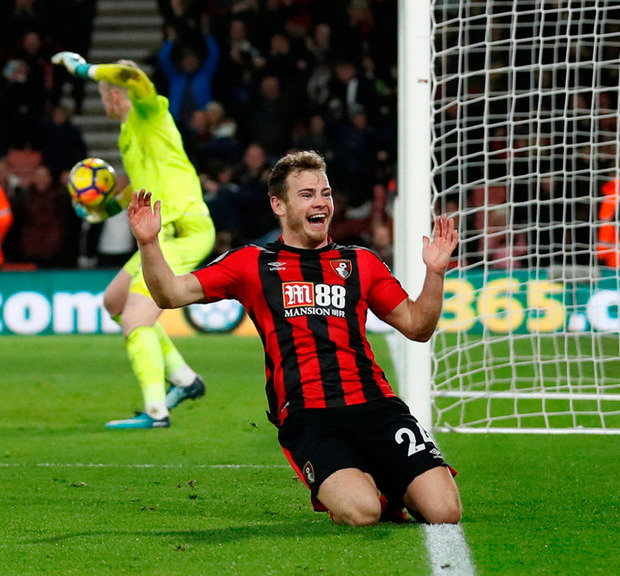 But the manner in which Bournemouth ruthlessly exploited McCarthy's sloppiness in midfield with Fraser adjusting the timing of his run to finish off King's precise cross showed that they are more than capable of scoring at this level. To Howe's obvious disappointment, however, King's afternoon ended soon after when he limped off. Undeservedly, Everton were then almost gifted an equaliser but Calvert-Lewin failed to take advantage of Adam Smith's poor back pass. Allardyce had clearly seen enough and introduced Rooney to the action after the break, swiftly followed by Oumar Niasse in place of the ineffective Calvert-Lewin. The result was a far more threatening approach, which paid dividends immediately, although once again the goal came as a result of the opposition giving the ball away. Steve Cook's pass was seized upon by Sigurdsson, who fed Niasse on the edge of the area and he teed up Gueye with an excellent piece of skill. Everton had Pickford to thank again for not falling behind immediately as he denied Wilson once more with a brilliant save down to his left. Ibe also came close but saw his effort from distance skim the crossbar after again testing Pickford. Apart from one lightning break from substitute Yannick Bolasie that almost set up Sigurdsson, Everton seemed content to hang on for a point. They were punished as the clock ticked towards the 90-minute mark, with Fraser given too much time to take aim but grateful to see the ball loop beyond Pickford's despairing dive.